Mishkosiminiziibiing (Big Grassy River) is an Ojibway community of 246 residents in Northwestern Ontario, located on the southeast shores of beautiful Lake of the Woods. Big Grassy River First Nation is part of the Grand Council Treaty #3 Territory. 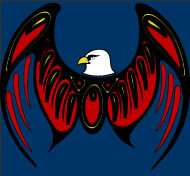 The First Nation is affiliated with the Anishinaabeg of Kabapikotawangag Resource Council, along with other First Nations located in the Lake of the Woods area. Big Grassy River First Nation is 50 km. north of the Canada/U.S.A border and 450 km. west of Thunder Bay, Ontario.